The year 2017 witnessed one of the biggest exodus of refugees in the history of human civilization. 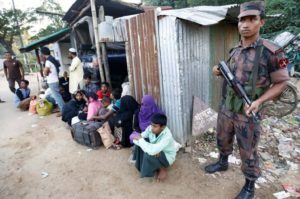 After being subjected to brutal Myanmarese military crackdown seen as ‘ethnic cleansing’ by the United Nations and the US, Rohingya Muslim refugees are beginning to challenge new miseries in Bangladesh in the coming year. Conditions in the camps of Cox’s Bazar continue to deteriorate as more and more Rohingya keep coming. 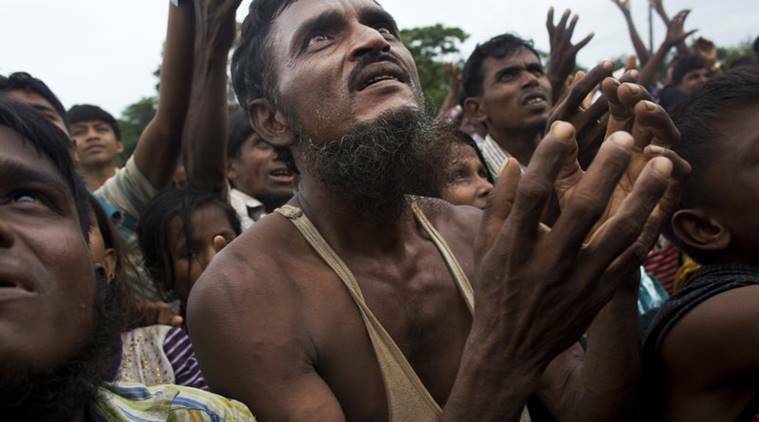 In the past weeks, Bangladesh and the Myanmarese government have assembled a working group to arrange the repatriation of Rohingyas back across the border, which – if forced – international observers say would be unsafe. At the same time, refugees fear being stuck for many years to come in the camps which have evolved to rank among the biggest in the world. Even the patience of the local Bangladeshi communities is tested pushing them to the limit as far as showing solidarity towards the Rohingya Muslims are concerned. Tensions are building over land and wages, while refugees desperate for cash to buy daily necessities are exposed to exploitation by landowners. Taking advantage of the situation, the displaced Rohingyas are made to work for half the normal daily wage by the Bangladeshi landowners. This has also led to an uneasy calm among the locals labourers as they are less preferred for their higher wages. Meanwhile, as these Rohingyas struggle for food with their minimal income, these refugees face severe health hazards in the camps. The latest fugures given by the United Nations suggest an exodus of 655,000 people has taken place across Burma’s northwest border in just four months. After abandoning their ravaged villages, their cultivation and livelihoods, the refugees have settled along the hilly borders of Cox’s Bazar district – on land belonging to Bangladeshi locals. The building tension is piling pressure on the Bangladeshi authorities, who very well remember the clashes sparked in the early nineties when a modest influx of fewer than 300,000 Rohingyas crossed the border after facing similar atrocities from the Burmese army. Meanwhile, Bangladesh and Myanmar has arrived at an agreement to repatriate ‘expeditiously’ the Rohingya with the humanitarian crisis entering its fourth month. This has again unnerved the refugees as they fear for their safety or worse fear detention in camps in that country.